Between 17 - 22 April, during The Fuori Salone, the preview of a new iGuzzini space comes to light in Milan, at 5 Via Brera. A project by Alfonso Femia Atelier(s), “The Light Gate” will be officially inaugurated in January 2019. "The Light Gate" reinforces the historic bond linking iGuzzini with Milan – cultural, financial, urbanistic, media, and social centre continuously developing to achieve an even more strategic position internationally. "In 1969, together with Fratelli Guzzini, we inaugurated a 600-sq m space – Gate ante litteram – meant to spread the culture of light and promote lighting solutions. It was called Centro Forme, being located at 11 Via Durini. 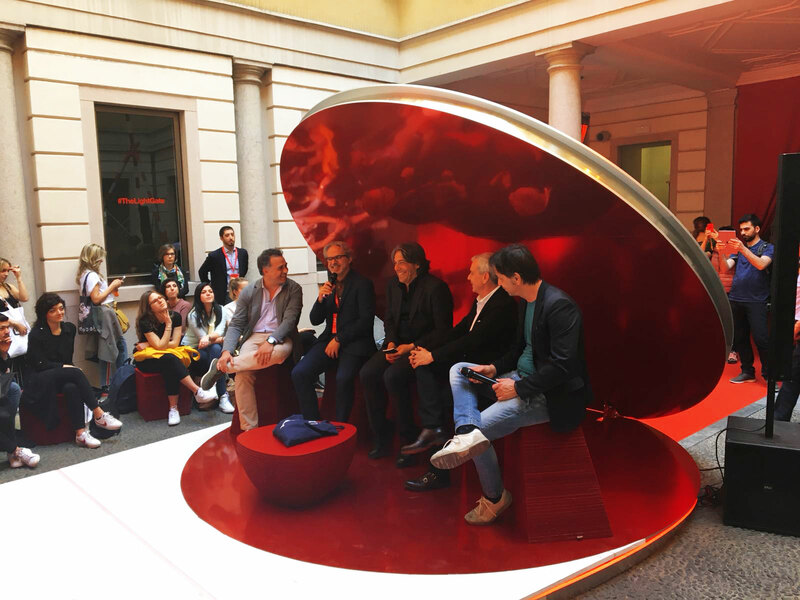 The space was born under Luigi Massoni’s direction, a collaboration that attracted many designers both to the company and generally to the Marche region" says Adolfo Guzzini, President of iGuzzini illuminazione. "Having an office in Milan had always seemed like a mirror reflecting our image, and since our impetus for innovation is one of our driving forces, we felt the need for a space that could better represent what we are and what we aim to be. A welcoming space designed with our visitors in mind", concludes Adolfo Guzzini. From left to right: Adolfo Guzzini, Giacomo Santucci, Giorgio Tartaro, Antonio Iraci, Marco Introini. “Deciding to go beyond designing a simple showroom or subsidiary, by creating a place – was a bold idea put forward by iGuzzini," says architect Alfonso Femia, who designed the concept for 5 via Brera. "The challenge was to create a destination whose limits are blurred in the sense that the space welcomes hybridisation, contamination and sharing. Light becomes the opportunity and the tool drawing people towards a collective space where they feel they belong" he declares. "The idea is that people can go to this space not only to meet with iGuzzini, but because they identify themselves with the space, an integral part of the city. This can help change the perception of the city itself by inviting Italians to reclaim their history and their places", concludes the architect. 5 Via Brera, is a comfortable, flexible, and innovative 970-sq m space spread over two floors. The space is made up of offices, meeting rooms, workshops – where products are displayed and training sessions are held – and communal areas; the basement houses the Light Experience and a 150-sq m lounge area designed for lighting professionals and complementary disciplines alike. "This place is a perfect example of Lighthinking, an ecosystem where the thought of light is a scientific, cultural, artistic, social, business, and technological experience. Lighthinking is an essential communication platform, which cannot be separated from the element of physicality and human relationship" declares Andrea Sasso, iGuzzini's CEO. "Our HQ in Recanati, where we welcome about 5000 people every year, has always been a place dedicated to Lighthinking. It is now time to create a structure that supports this philosophy in an internationally strategic city like Milan" he concludes. The Lighthinking programme started yesterday, 18 April, when journalist Giorgio Tartaro conducted two live sessions titled “The ecosystem of a city. Projects, art, colours and light” and “Identity of places and places of identity. Hubs, networks and excellence”. Some of the opinion leaders involved were: Alfonso Femia, Jacinto Segui Mendez, Fabio Pietrantonio, Massimo Caiazzo, Giacomo Santucci, and Marco Introini. From left to right: Jacinto Segui Mendez, Alfonso Femia, Giorgio Tartaro, Massimo Caiazzo, Fabio Pietrantonio. The Light Gate will also host the Light Experience, a 75-sq m area where viewers can touch the light and experience various lighting effects. Launched at Light+Building 2012, and enhanced over the years, The Light Experience marked a turning point in terms of showcasing light. From then, it has been playing an ever increasing role, being an integral part of iGuzzini's offices, showrooms, and worldwide events. Its most innovative version will be available within "The Light Gate", where the high-tech experience has been enriched by an exciting multisensory show of sound, light, and shadow. In an ever-changing context, the lighting industry opens up to the Digital Transformation. iGuzzini is currently investing heavily in innovation, The Light Experience, unveiled to the public for the very first time at Light + Building 2018, being a clear example of this. "The Light Experience has been conceived to digitalise clients’ physical experience and ensure the availability of our solutions to lighting designers anytime, anywhere” says Massimiliano Guzzini, Vice President and Business Innovation & Networking Director at iGuzzini. 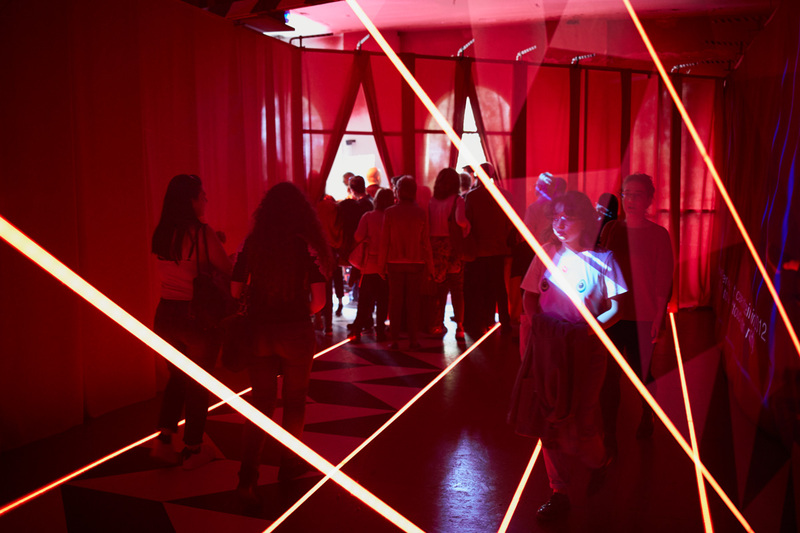 Accessible via Virtual Reality, App and Desktop, The Light Experience, is one of the main features of the preview on 18 & 19 April, allowing visitors to "experience iGuzzini’s light in VR mode, by embarking on a journey through the Light Experience in 3D" explains Massimiliano Guzzini. The private events of 18 - 19 April have been organised in collaboration with Ferrari, Attico and Staygreen. 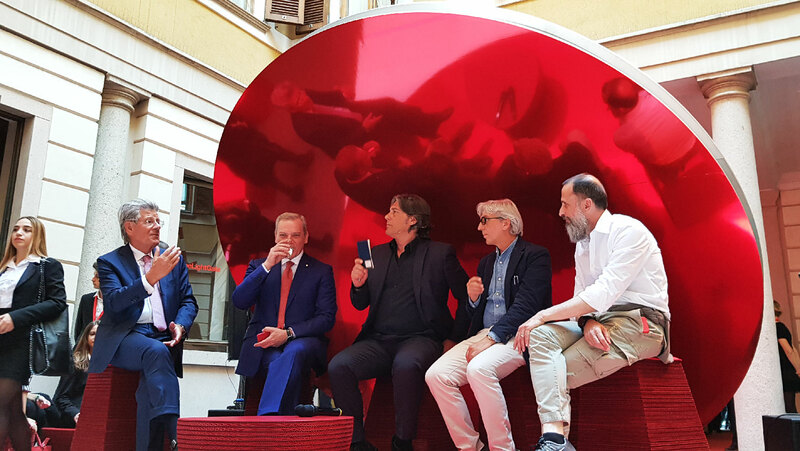 Adolfo Guzzini (iGuzzini president), Alfonso Femia (architect who created #TheLightGate concept) and Andrea Sasso (iGuzzini CEO) explain the relationship between iGuzzini, Milan, design, and digital transformation.